Soft white color and flowy fabric make this trendy top a summer must-have for all you fashionistas. 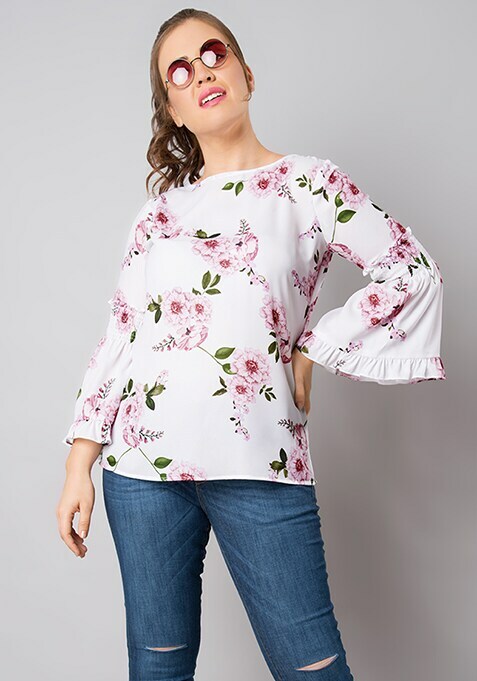 This floral print top features bell sleeves with smocking details. Work it: Style this trendy top with distressed jeans and strappy flats.